Why sometimes I’ve believed as many as six impossible things before breakfast. The BABEL Working Group, founded in 2004, is a non-hierarchical scholarly collective and para-institutional desiring-assemblage with no leaders or followers, no top and no bottom, and only a middle. Membership in BABEL carries with it no fees, no obligations, and no hassles, and accrues to its members all the symbolic capital they need for whatever meanings they require. BABEL’s chief commitment is the cultivation of a more mindful being-together with others who work alongside us in the ruined towers and rubble of the post-historical university. BABEL roams and stalks these ruins as a multiplicity, a pack, not of subjects but of singularities without identity or unity, looking for other roaming packs and multiplicities with which to cohabit and build temporary shelters for intellectual vagabonds. More conventionally, The BABEL Working Group is a global alliance of scholars, researchers, artists, and others situated in institutional and para-academic spaces who are interested in creative risk-taking, unconventional co-disciplinary collaboration, and the cultivation of productively dissensual conversations about Big Questions — the future of the university, the public role of the humanities, the open commons and the creation of new publics, the forms and precariousness of life, the impact of technology upon social life, the relations between the arts and sciences, etc. — with a special interest in holding the past and present in continual productive tension, provocation, and critical relation. Through its biennial meeting (among other ventures), BABEL works to develop new co-disciplinary, nomadic, and convivial confraternities between the humanities, sciences, social sciences, and the fine arts (both within and beyond the academy) in order to formulate and practice new critical humanisms as well as build shelters for humanist and post/humanist vagabonds. To those ends, BABEL has many projects, initiatives, and foolish errands to which it directs its energies, including postmedieval: a journal of medieval cultural studies, punctum books: spontaneous acts of scholarly combustion, punctum records, Studium, various gatherings such as our Speculative Medievalisms and Critical/Liberal/Arts laboratories, books and special journal issues, sponsored conference sessions, and finally: a biennial meeting, inaugurated at the University of Texas-Austin in November 2010. BABEL pitches a very big tent for its biennial meeting, seeking to engage broad questions, dilemmas, problems, and opportunities relative to the hopefully multiple pasts and futures of the university. As BABEL has vested interests in the so-called premodern past or “middle” ages, it works to enable and stage (in different locations) a concerted focus on the question of the relations between the “medieval” and “modern” in order to take better stock of the different roles that history and various processes of historicizing have played in the shaping of a diversity of presents and futures. 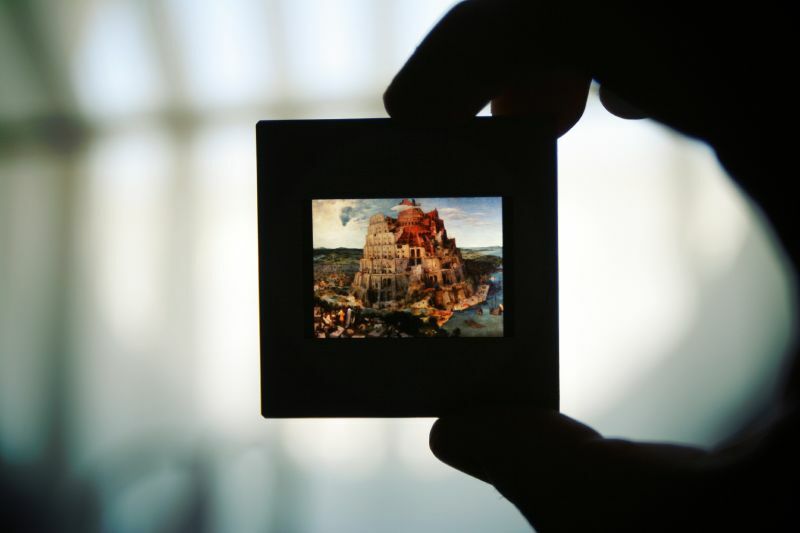 You can read a story on the BABEL Biennale HERE, from Stanford University’s Center for Medieval and Early Modern Studies.